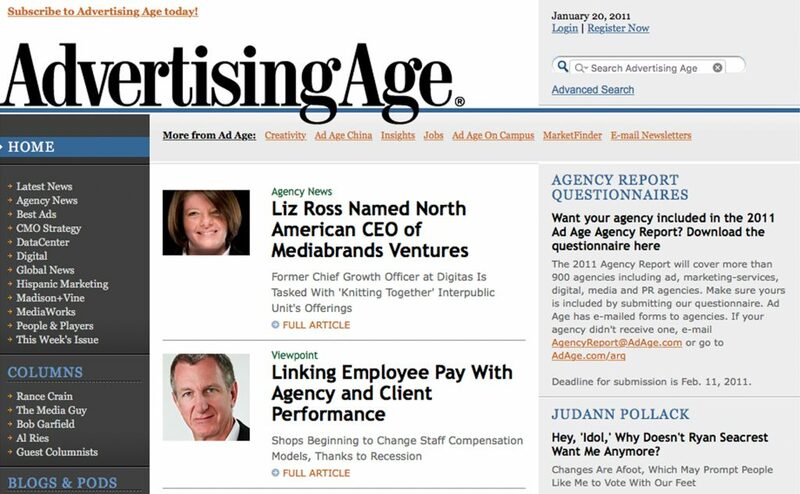 Our redesign of Advertising Age , the leading journal of the advertising profession, brought the magazine’s website up to date and into line with modern best practices. 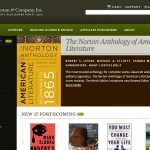 While adding crispness, consistency, and predictability to navigation and layout (including ad sizes), we introduced variable homepage template formatting to grant online editors and art directors the same kind of flexibility their print-side colleagues had long enjoyed. For the first time ever, the full contents of the current issue of Advertising Age will be available online for subscribers on Sunday night, the day before the print edition hits newsstands and in-boxes. Publishing is changing, advertising is changing, where people get their news is changing, and how publications earn their keep is changing. The journalistic enterprise is no longer one-sided: magazines, while remaining authoritative, must also listen to their readers’ voices—and readers want to know what other readers have to say. On top of all that, there were tough decisions to be made about free versus paid content. We advised on all these issues. Our team worked closely and intensely with Advertising Age to solve architectural, design, and usability challenges, and to introduce modern and expected reader-empowerment features (such as commenting) without violating the sense of control that is important to old-school readers and editors. Research and consulting; information architecture; brand design; graphic design; user interface design; user experience design; CSS/HTML template development. Launched 9 April 2006.